Home » How to Become a CNA » What is a CNA? What is a CNA, and What Do They Do? Because this is a job that entails closely working with people on a day to day basis, there is a certain amount of social skills that one needs to perform this job well. CNAs often work in places like nursing care facilities and medical centers where being compassionate and understanding a person’s situation while offering them quality care is essential. They must also be someone who the patients can depend on. This is a criterion that many CNAs in nursing homes are required to fulfill. In these situations, the patient is sometimes solely dependent on the CNA, making them their primary caregiver, which is an important role to carry out. 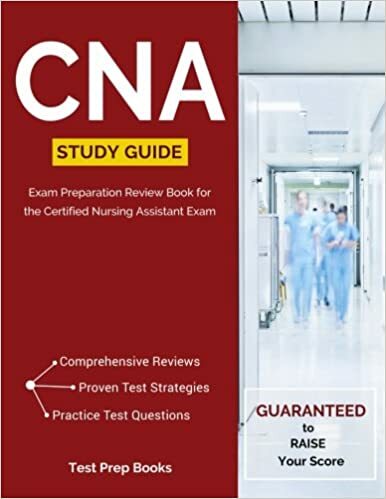 You can learn more about what CNAs do by reviewing our list of CNA training materials which details the specific duties of a CNA. In short, the answer to, “What is a CNA?” is someone who performs multiple tasks to assist medical practitioners like Licensed Practical Nurses (LPNs) and Registered Nurses (RNs) in offering patient care. So, if you see one of these names on a job application or a training program, rest assured these titles all mean the same thing, there are just regional differences in the language used. For example, “STNA” is the title in Ohio while “LNA” is used in New Hampshire. CNAs are in many ways a jack of all trades, but there are some key skills that most successful CNAs have that makes them excel at the job. Communication. This is perhaps the most important skill, as CNAs are trusted with effectively communicating between many parties verbally and in writing. CNAs regularly pass information back and forth between patients and the patient’s family to doctors, nurses, and other medical staff. Attention to detail. Working as a healthcare professional there is no room for error, so following protocol is extremely important to be a successful CNA. Beyond making sure that rules are followed from an operational standpoint, CNAs are responsible for keeping an eye on patients and reporting even slight changes that might signal changes in their client’s overall health. Organization. The truth is that CNAs have a lot on their plate. Many times they are performing a wide range of functions on multiple patients, so keeping organized and managing time effectively is critical for getting through the day. Compassion. Learning how to be emotionally supportive and empathetic towards clients can help CNAs navigate the difficult situations they will likely encounter when dealing with seniors and people in long term care. Because of the work that a nursing assistant must do, there are a few qualifications that they are mandated to have before they can apply to a job of this kind. These qualifications are not the same as a Registered Nurse but tend to be similar in terms of course structure and study. After earning their certificate, CNAs also have requirements and opportunities for continuing education, similar to many other health care positions. Typically, a CNA certification is good for two years. To renew a CNA license, one will need to meet the state’s requirement for continuing education. You’ll need to check with your individual state’s nurse aide registry to see what those requirements are. As an example, California requires 24 total hours of continuing education, with at least 12 hours of training in each of the years. This site offers a number of free CNA practice tests to help potential CNAs prepare for the exam. We also offer tips for passing the CNA skills test. There are several institutions that one can approach when trying to seek CNA training. Community colleges and vocational schools are common sources for finding certification courses. These types of institutions often provide a variety of class times to allow people to gain their certification on nights or weekends. Some hospitals and nursing homes also offer programs wherein CNAs are given hands-on training for this kind of job. Some long term care facilities and nursing homes are in such need for CNAs that they will pay for tuition or offer to reimburse your tuition if you agree to sign a labor contract to work for them for a required minimum amount of time. For aspiring CNAs, this is a win-win as it eliminates the cost of training and provides guaranteed employment upon graduation. Check out our listings to find free CNA training near you. According to the Bureau of Labor and Statistics, the job outlook for CNAs is very strong, with an expected growth of 11% through 2026. This means there will be a significant amount of job opportunities available upon passing the CNA certification exam and obtaining a state license. While most people are familiar with CNAs working in nursing homes, long term care facilities and hospitals, there are a number of other places that CNAs are employed, more on that below. As with any job, people want to know how much it pays. Interestingly, there are many factors that help decide how much a CNA gets paid. One of the key ones is the industry that the CNA works in. The table below shows the hourly and annual average pay for CNAs across the most common types of employers. Now That You Know What a CNA Does, is it Right for You? Becoming a CNA has many benefits, but it’s not for everyone. Hard work and compassion are some of the key elements that define a CNA as patient care is usually required round the clock, and a CNA is usually the person to provide that care.